In The Diary of Anne Frank, who’s author, you’ll be intrigued to learn, was also called Anne Frank (I’d like to think she’d have been a Belieber), wrote “No one has ever become poor by giving, especially in the case of indie, grassroots horror movies, because those are more absolutely banging than Miley Cyrus’ seminal album Bangerz“. It’s a great point beautifully made and there’s no finer example of this than the important and necessary Popcorn Horror. To get this out of the way, yes, I am the film reviewer of Popcorn Horror.But that isn’t the cause for this piece. No, in fact I am the film reviewer for Popcorn Horror because I think it is important and necessary. My relationship with Popcorn Horror started when it was first mentioned as one of the new, unique ways people were distributing movies during a lecture on my masters course at Screen Academy Scotland. From the moment I downloaded the app (when Popcorn Horror was an app) I was hooked. When I wrote for Culture Bomb our first magazine had free advertising space, and Popcorn Horror was the first I offered it to. And not just by the style and quality of the content. I was incredibly impressed with the fact they did what 99.99% of other content providers don’t do. They valued the content makers enough to reward them. 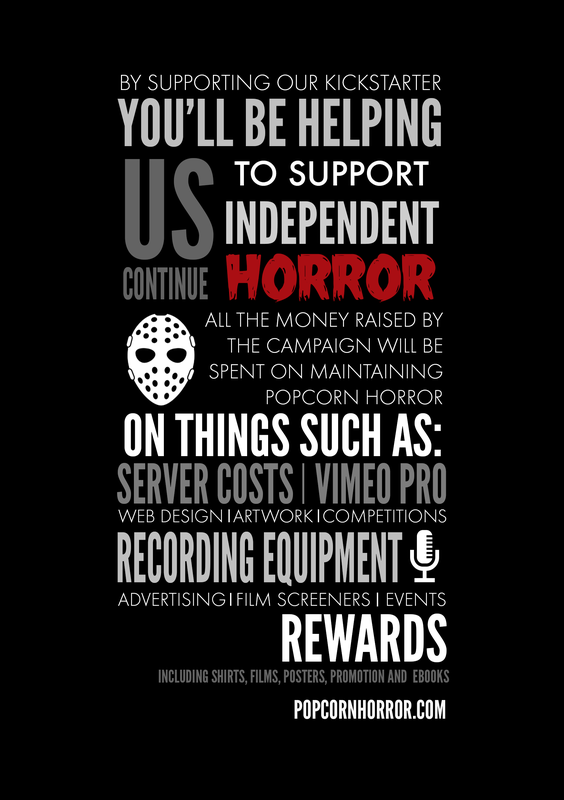 Just to reiterate how important that is, they value and reward the people who make the horror content. In a time when so, so many content providers think that content makers should be grateful to even be considered to grace their webpages, Popcorn Horror recognizes that if content makers cannot get rewarded, then not much content can get made. They rile against the greedy modern notion that “exposure” is payment enough for hours of work 0n something different to entertain us. In a way, Popcorn Horror really inspires the same kind of spirit that made the legendary Night of the Living Dead possible. The spirit that says you don’t have to go to a big studio and production company and have your artistic vision compromised so it’s no longer recognizable just to get it near-made. And now look at Popcorn Horror. My how, and I hope no one from Popcorn Horror towers will mind me saying this but, we’ve grown. Since I climbed aboard the good ship PH the fine vessel has gone from an app to a full blown site, offering some of the most unusual, innovative and varied horror content you could ever possibly imagine. There is honestly nothing the discerning horror fan could ask for that isn’t covered by Popcorn Horror. So, if you value fantastic content that you’ve never seen before, a thriving community that’s truly passionate about the most underrated yet meaningful genre in cinema (yes, horror, dumbass), and most importantly an ethos that inspires, nurtures and provides for independent horror content, be it my reviews, Cara’s cool news and views, or the myriad pieces of art available on the site, you owe it to horror and yourself to donate just a small amount to the Popcorn Horror Kickstarter campaign. 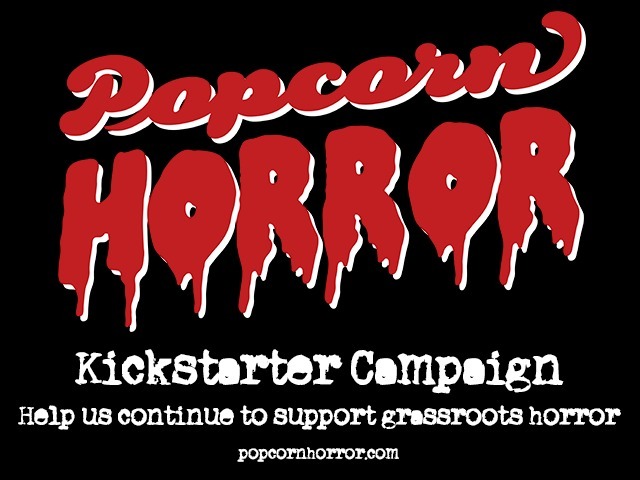 Support real horror through this link.